The time has come for a final countdown on Power Rangers In Space with Let’s Watch Wednesdays! As the Alliance of Evil works to ensnare the entire galaxy the rangers lay defeated. Their Megazords destroyed, and their allies scattered across the cosmos. Their identities revealed TJ, Ashley, Cassie, Carlos, and Zhane make a final stand back on Earth. But one more of them will make a defining choice. Andros will have the final burden of saving the universe upon his shoulders, but at what cost? Will the legacy of the Power Rangers be sacrificed forever? Can that sacrifice expunge all evil from the known universe? Heroes will unite and a legend will die. It’s the end of everything as all roads lead to destruction with Power Rangers In Space! The action finally heats up this week on Let’s Watch Wednesdays with Power Rangers In Space! The Secret City. Here Astronema’s civilian captives are enslaved and now the Power Rangers have found themselves trapped there as well. There’s only one escape plan. Unable to morph, Andros must rely on the Battlizer. Press #1 for power, press #2 for more, but even he doesn’t know that #3 will unleash the greatest power ever! The Red Battlized Ranger! But that’s not all, you thought the Psycho Rangers were gone? Think again! These digital ghosts will stop at nothing until they can be whole again, and destroy the Power Rangers for good! Our apologies for the interrupted viewing schedule folks. As Kickback let you know recently my wife and I welcomed a little addition into our family! For that reason we had to take a break with our regular Let’s Watch Wednesdays segment last week. However we are back and ready to get psychotic! A Psycho Ranger has fallen. What kind of fall out will that leave for Power Rangers In Space on Let’s Watch Wednesdays? Let’s See!Dark Specter’s in trouble, another force is draining all his powers. I wonder if Astronema knows anything about that? And with Psycho Pink down the rangers have the advantage. Defeat a Psycho with an opposite color! But how many Psycho’s are there really? There should only be 4 left, but who calls himself Psycho Silver? 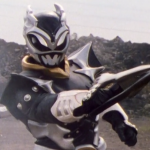 Another Psycho Ranger will transform into a monster and be defeated, but which one this week? To catch the Power Rangers off guard the remaining Psychos will have to get creative. But how far can human disguises go? Power Rangers In Space returns for Let’s Watch Wednesdays. But this time they add one more to their number, Astronema?! Now knowing the truth about one another, Andros & Astronema will work together to find Zordon and try to defeat Dark Specter. But even as she begins to find her place with the Rangers, both Astronema & Ecliptor will be enslaved by evil once again. Regardless of her betrayal Dark Specter has his plans for them both. Darkonda will ensure they’re both obedient. And as an asteroid hurls towards Earth in Dark Specters bid to take back his pawns, the rangers find they need just a little more power. The Silver Ranger returns! And he’s not only, Zhane’s brought with him the Mega Winger! It’s Morphin Time with Power Rangers In Space and Let’s Watch Wednesdasy! If you thought you’d seen it all by now with this show, you were wrong. A major blast from the past is here! Thanks to one of Astronema’s monsters Carlos injures Cassie. Doubting himself Carlos wonders if he’s even fit to be a Power Ranger anymore. Luckily an old friend and ally, Adam, returns! But the former Black Ranger has more than just training for Carlos. Cobbled together from broken bits and hope, Adam’s original Power Morpher has been rebuilt! But with his powers in flux, and the risk of using them great, can the Mighty Morphin Black Ranger rise again? Meanwhile Andros has another run in with Darkonda & 1 of his 9 lives, and Astronema tries desperately to discover her past. Her brother is still alive out there somewhere, Andros sister is too. And a pair of lockets will link them all together…. Let’s Watch Wednesdays returns with Power Rangers In Space and a Silver Secret…. Unbeknownst to the other rangers, Zhanes powers are fading fast. Being frozen while morphed for so long has put a permanent drain on the Silver Ranger powers. One more morph could be the end for him, but a daring stunt may be able to restore his powers. Or destroy Zhane for good! But even if he does survive that, he may be in for an even more dangerous prospect, a date with Astronema! Can a real bond form between these bitter enemies? And if that wasn’t enough, Zhane has a heavy choice to make. Will he remain with the rangers, or help the remaining rebels of KO-35 against Dark Specter? Let’s Watch Wednesdays is back! After 2 weeks of back to back holidays interrupting our programming schedule, Power Rangers In Space returns! And a new hero rises! Andros has been hiding something from the rangers. A secret that will forever reshape the team! 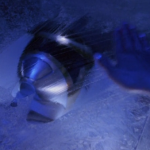 Hidden away deep within the Megaship, lays the dormant cryogenically frozen body of the Silver Ranger! The once heroic Zhane sacrificed himself to save Andros on their homeworld KO-35 when Dark Specter’s forces invaded. Frozen for years recovering from his injuries, the Silver Ranger must awaken! On a foreign planet, in a wrecked Megaship, an invasion by an army of aliens, and 5 rangers in danger may be just the wake up call this sleeping hero needs! Unfortunately he’s in for a rude awakening indeed…. Power Rangers In Space has set a new course on Let’s Watch Wednesdays here at TokuNation! 5 key cards that once belonged to Zordon have been discovered! In a bid to obtain them from Darkonda, Andros begins to learn what the evil creature has done to his sister. But not before Darkonda mutates thanks to the betrayal of Ecliptor, forcing the rangers to rocket back into space. Using Zordon’s keys the rangers will obtain the ultimate power they’ve been waiting for, the Mega Voyager! Meanwhile old allies of the rangers are in trouble. Captive since the Turbo Rangers were defeated, Lightning Cruiser & Storm Blaster have been in the hands of Divatox’s forces! Fortunately Storm Blaster has escaped and made his way to the one ranger he could always count on, Justin the Blue Turbo Ranger! It’s time for the combined might of 6 rangers to stop Astronema’s monster and rescue Lightning Cruiser! 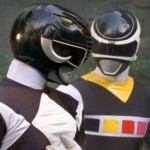 This weeks marks the second appearance of a past ranger on Power Rangers in Space following the Phantom Ranger’s return. True Blue To The Rescue, features the return of the Blue Turbo Ranger. 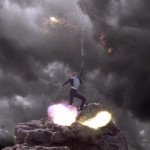 Though the Turbo Ranger powers were destroyed at the end of their series, Storm Blaster had apparently saved an extra Turbo Morpher for Justin’s use. Justin was of course left on Earth when the older rangers went into space to find Zordon, and his successor as the Blue Ranger was his friend & former Red Turbo Ranger, TJ. Though we won’t be seeing Justin again for the remainder of the show,this episode establishes his continuing connection to the Power Rangers and the Morphing Grid. Though Power Rangers Super Megaforce sadly did not fully realize or explore these types of loose ends for the franchises anniversary, it’s often been theorized by fans that Justin’s spare Turbo Morpher from this episode was the one used by TJ in Forever Red to gain access to his Red Turbo Ranger powers once more. It’s speculative, but always a fun possibility. On a distant planet searching for Zordon, an old foe of Ecliptor and a new one for the rangers appears, Darkonda! A double crossing bounty hunter, what are Darkonda’s motives for working with Astronema? And how exactly he knows the princess of evil, even she isn’t aware. But the bigger question remains, what secrets can Darkonda be hiding from his new allies and the rangers? What does he know of Ecliptor’s past? When and how will he betray him? And what dose he know about Karone? All of these burning questions and more will begin to be answered this week on Power Rangers In Space! This week we take another look at what makes Power Rangers In Space a little more unique from it’s sentai counterpart Denji Sentai Megaranger. The first episode we’re vieing thisweek, #13 Grandma Matchmaker, is actually a bit more of a mashup than you might realize. The footage for this episode actually originates from Megaranger 28! The crazy thing about this episode is that in Megaranger the central focus of this footage was Mega Silver AKA the upcoming Silver Space Ranger. The episode was edited and reshot with a decent amount of new US footage to re-incorporate Ashley into it as the original episode features Mega Yellow only briefly. The scenes with the Quadro Blaster and Mrs Hammond driving the police cruiser are notably some of the footage used to pad out this transition. Let’s rocket into another week of Power Rangers In Space on Let’s Watch Wednesdays! The Phantom Ranger has returned! 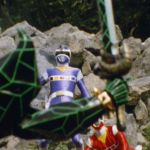 On a quest to save Zordon from the clutches of Dark Specter, Phantom Ranger has encountered Divatox’s forces! Sending a distress message to the Space Rangers the Phantom has discovered Zordon’s location. 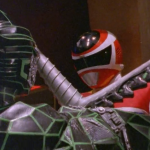 Unable to rescue Zordon himself and badly injured, Phantom Ranger now holds the key to an even greater power for the rangers. The Delta Megaship! And the rangers have a couple other problems on their hands too! If it’s not Sting King & Waspicable, then it’s another of the Professor crazy inventions, the Evilyzer! 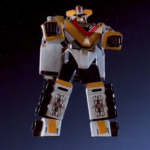 Facing a horde of Astronema’s monsters it’s time to call on the power of the Astro Delta Megazord! 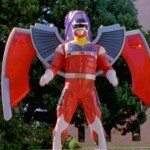 This week sees the introduction of an incredible piece of Power Rangers history & technology as well. Brief though it was, Episode 10 of Power Rangers In Space “The Delta Discovery”, not only saw the rangers receive the power of the Delta Megazord, but also the device used to control it. The Battlizer! Battlizer of course refers to the numerous devices used throughout the Power Rangers franchise which have allowed various rangers (mostly Reds) to access a Battlized mode. Though we’ll see exactly how important this item is specifically to In Space in later episodes it’s legacy is unforgettable. Often a term more associated with the specific power ups/armors certain rangers have received over the years, Battlizer in this case references the device worn by Andros. Though it would later allow him access to his own Battlized Mode as well.